My name is Betty Brown. 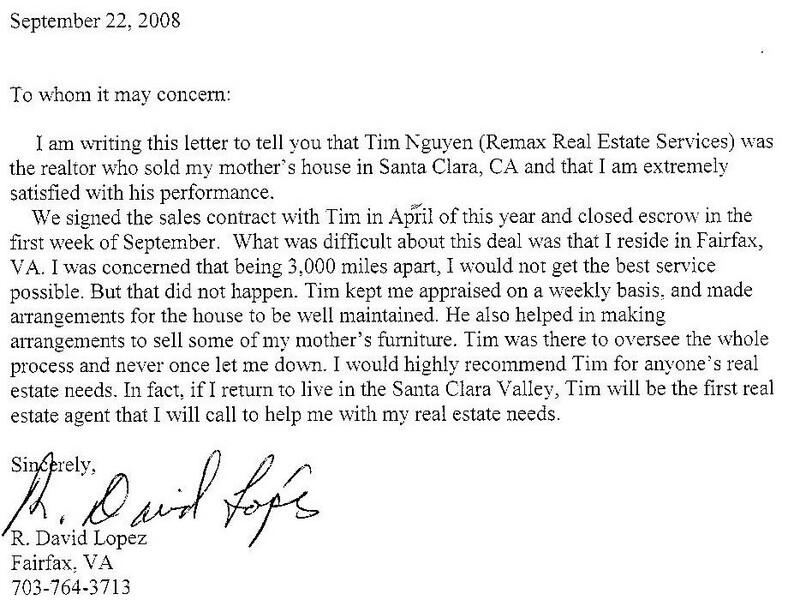 Tim Nguyen was my agent for my property in Santa Clara. We put it on the market and within four days we had our offers. During the negotiation process, Tim presented information to me so that I understand all the paper works that need to be done and also understood a number of other isssues... He was extremely helpful. He was available whenever I call him. We can set up meeting very easily and as well as having phone conversation at all times during the day. He was extremely professional. In a very short time, escrow closed, and I am a happy camper because I now have the money. Thank you very much Tim. 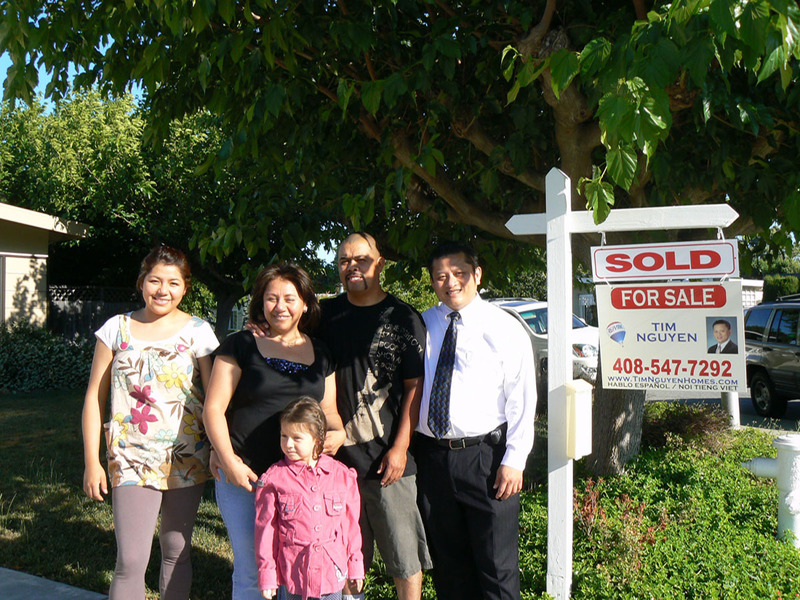 We have recently purchased our first home in San Francisco with the help of your agent Tim Nguyen. We would like to tell you about his work ethic and how satisfied we were working with him. Mr. Nguyen was friendly, polite and professional. He was also very accommodating for showing us each property and sometimes each property twice for us, since we work at different schedules, which also meant that Mr. Nguyen had to drive from San Jose area to San Francisco. We really appreciated him for that. He wanted to make sure that both of us liked the property and agreed on it. He was sensationally organized. For instance, after our counter offered was accepted, Mr. Nguyen kept in touch with our mortgage broker and made sure that our mortgage broker was on top with our loan documents. He was in constant communication with the sellers’ agent and made sure that everything would be done in a timely order. And he contacted the escrow agent and noted of what we needed to bring on escrow date. Most importantly, Mr. Nguyen asked what we wanted in a house, and he worked very hard to help us get what we asked for. 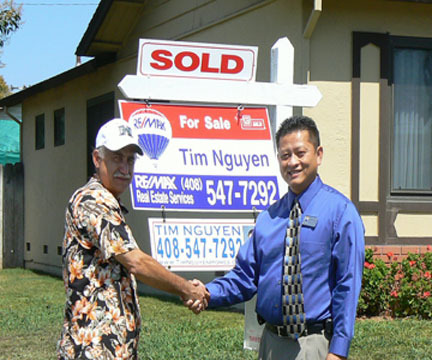 Again Mr. Nguyen really made our purchase easy and took the stress off us of buying a home. We definitely recommend our friends to him when purchasing a home. The home buying process is a difficult one, and it is a disadvantage to not have a Realtor on your side to help you in the paperwork and negotiations of a deal. 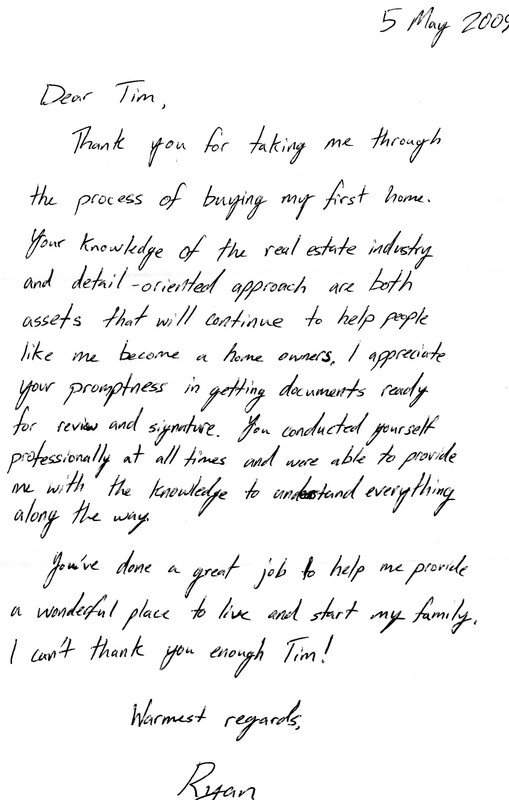 Tim is the Realtor that upholds his word and has the highest integrity for his customers and the Realtor business. Today, there are a lot of search engines on the internet that you can use to look for a listing, but it takes a Realtor like Tim to help you refine that search and get you details about the property you are interested in. I admire Tim Nguyen's work ethic and integrity. He calls you back right away if you need answers through the home buying process. From start to finish, he is available to act on your behalf in getting the home that you want. 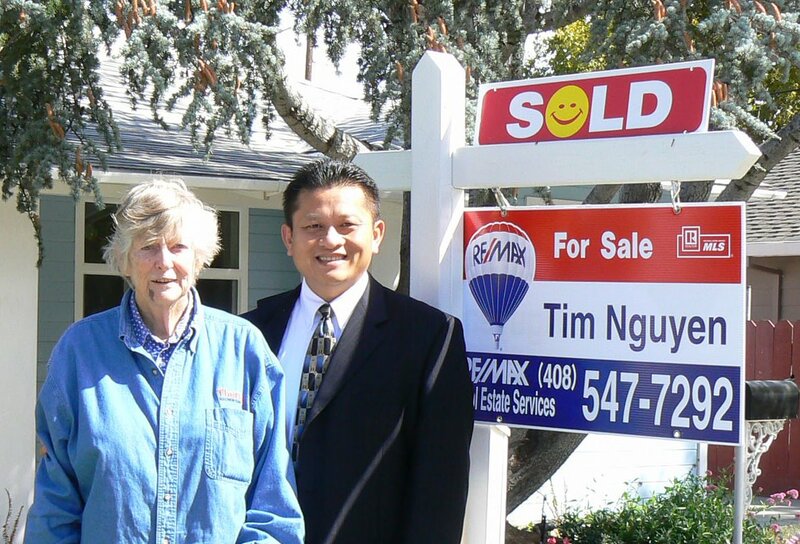 If you are looking for a home, then I give my recommendation to Tim Nguyen. Tim makes sure the customer is his highest priority in looking for your home. 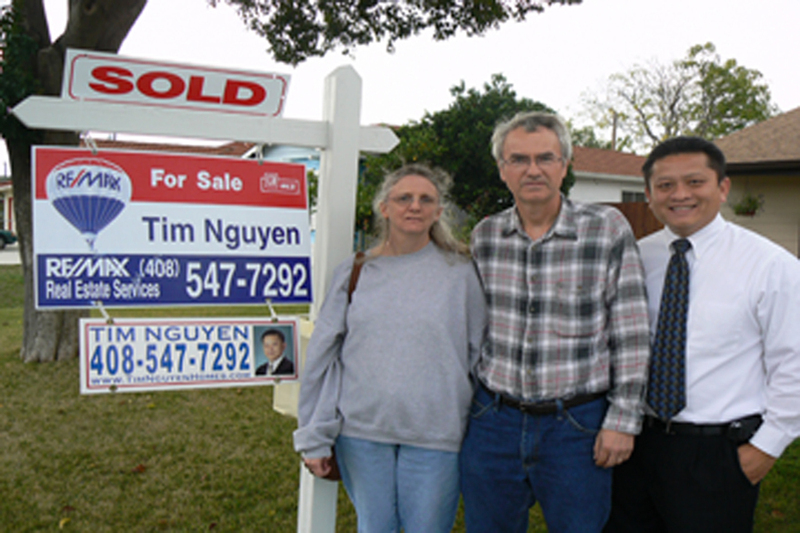 I am Nancy and this is my husband Dennis with Tim as our agent in front of our house in Santa Clara. 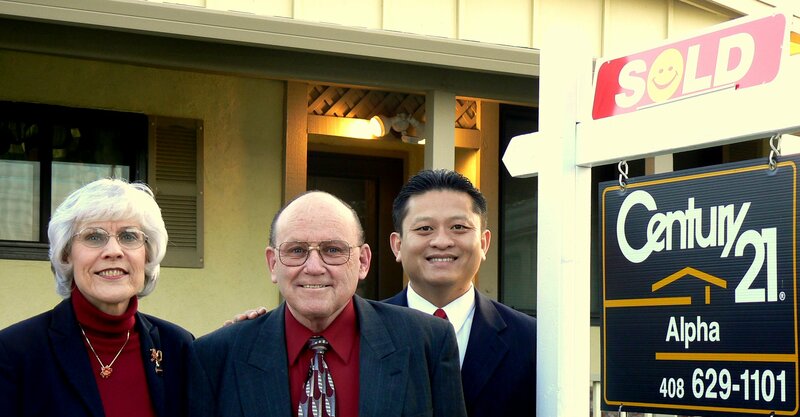 Tim had gone above and beyond in helping us sell our home in Santa Clara. He worked so hard for us. If it was not for Tim, we would not have sold our home. 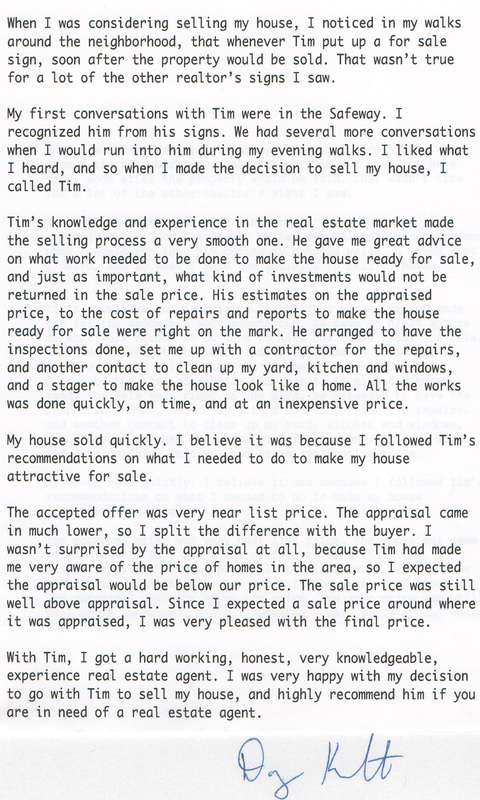 We have used other "good" Realtors in the area, but Tim was the Realtor that got the job done. From beginning to finish, Tim was diligent and determined. He is the one for you when you are selling your home. We would recommend him wholeheartedly. My name is Olivia Sanchez. From right to left is Isabel, myself, Vanessa, my husband, Alfredo and Tim. We are thankful for Tim because he helped us sold our home. Even in a slumping market, Tim was able to get the job done. He was friendly and honest. He kept his promises and stuck to his word. He guided us through the selling process step by step. He was professional and efficient. He kept in contact with us throughout the whole deal. We will use Tim again for all of our future Real Estate needs, and we would recommend him to anyone who needs help in buying or selling a home. Thank you Tim. Thank you for all your hard work in selling our house. We are still amazed at how quickly it sold in such a severely depressed market and, for the price at which you had initially appraised it. You are truly a professional. At our first meeting, you presented us with an impressivecomprehensive comparative market analysis that proved to be right on the mark. After you listed the house, you pursued an aggressive marketing strategy which helped elevate our house above the many foreclosed houses in the area. Then, less than one week later, you presented us with an offer from a well qualified buyer. You continued by ensuring that all the necessary reports and paperwork were completed in a timely manner. During the few short weeks preceding theclosing, you kept in close contact with the buyer’s agent, kept us abreast of the progress, andenabled a quick and successful closing. It was a pleasure to work with you, an energetic, dedicated, forthright and honest individual. We highly recommend your services to anyone.